Recording piano constantly challenges audio engineers. Consider the factors and options involved. The style of music performed can dictate microphone choice and position. The physical playing style of the pianist impacts the recording technique choice. The condition of the instrument itself plays a role in deciding the recording method. Let’s begin with the physical structure of a piano. With hundreds of pounds of moving, vibrating parts, expect extraneous and undesirable noises. A shot of WD-40 can eliminate pedal squeaks. A good piano technician can fix sticky dampers and eliminate or minimize other mechanical problems the piano might have. But when 60+ pedal-controlled dampers all drop onto the strings at once, they make noise. This noise, in terms of volume, remains fairly consistent every time the damper pedal’s released. Therefore, the volume of the notes being played by the pianist is important. The louder or harder the piano is played, then the quieter the damper noise is in relation to the note sounds. Remember, damper noise was never a problem with Jerry Lee Lewis records. The music dictates the piano’s volume and intensity. When a pianist plays softly and delicately, damper noise becomes more noticeable. When the mechanical noise becomes an audible distraction, switching microphone positions can lessen its volume. I recorded internationally acclaimed concert pianist Thomas Pandolfi in a church in McLean, Virginia. These two excerpts are from a collection of Gershwin pieces performed on a beautiful Falcone piano. Since the sound of the church was so lush and wonderful, no artificial ambience was used for these recordings. When recording piano, your only microphone limitations are the number of mics in your collection. I’ve pianos using a single omni pattern mic, a single cardioid mic, a pair of cardioid mics in an “XY” pattern, two pairs of cardioid mics (1 pair close – 1 pair for room ambience,) or two cardioids in “XY” with an additional dynamic mic pointed at the lower strings to beef up the low end. When recording piano for most contemporary music styles, I prefer two small-diaphragm condensor mics. Usually placing them in an “XY” pattern, about a foot back from the hammers, 6-8 inches above the strings. This captures a nice stereo image, with good punch and presence. For a softly played piano, I move the mics toward the far end, away from the hammers and dampers. The stereo imaging diminishes when the mics are down there. But that microphone position lessens the distraction of the damper noise. To my ear, noises that are distractions defeat audio quality every time. For solo classical piano recording, I prefer using 4 microphones. The two “close” mics are about a foot or so outside the piano body, near the inward curve. The size and shape of room itself determines the positioning of the two “ambient” mics. Generally, they are 20-30 feet away from the instrument, and spaced apart from each other. If the piano is part of an orchestra, I might move the mics inside the piano, using the short stick to get more acoustic isolation. Whenever the piano is a featured instrument, two mics would be preferred. Using a single microphone would work fine when the piano is just part of the ensemble. Every piano is a unique instrument. Compare them to guitars in the sense that every one of them is different. Take 5 brand new Fender Telecasters out of their boxes. An accomplished guitarist can play them all and describe the differences in each one. Pianists are, of course, more comfortable with their personal instrument. Recording in a studio on an unfamiliar piano can have a negative impact on their performance. I have clients who prefer recording piano at home. 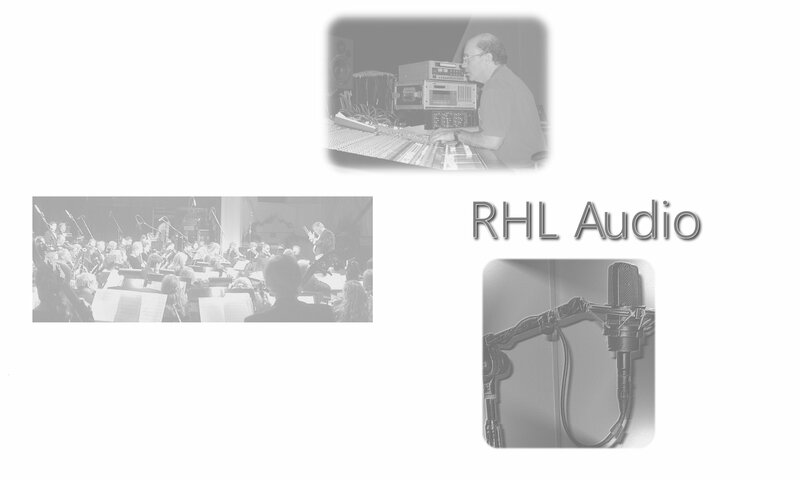 My mobile recording system easily handles that type of project with excellent results. When using the same high-quality microphones and mic pre’s everywhere, I can produce studio quality recording in the comfort of your home. 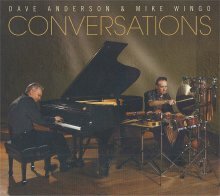 Dave Anderson & Mike Wingo - "Conversations"
Recording piano in Dave’s living room, with Mike playing percussion about 15 feet away, was a fun couple of days. We recorded each song 3 – 5 times, chose the best take, then did a few edits to polish things up. For a couple of tunes, we tried a few takes the first day, and then gave it another try the next day. But everything was live – no overdubs. Everybody was more relaxed doing home recording.